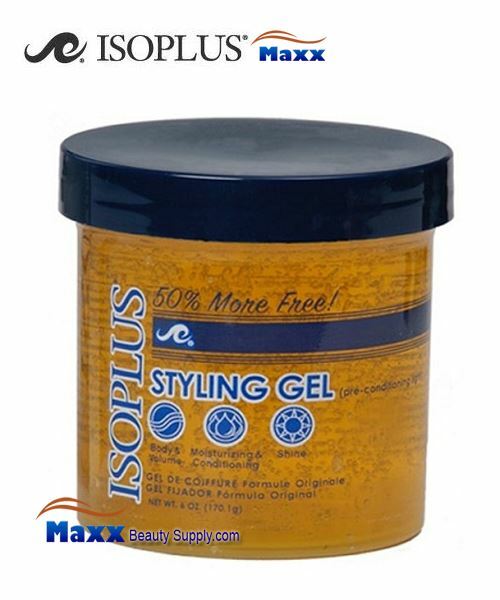 Isoplus Styling Pre-Conditioning Light Gel - Apply gel to clean, damp hair. Mold, slick or sculpt hair in desired direction with comb. Smooth hair with back of comb and remove any excess product from hair. Isoplus Styling Gel Drys under hooded dryer. Saturate clean damp hair with Isoplus Wrap Lotion. Then take generous amount of styling gel in the palm of hand, rub hands together and apply product to hair. For Wet Setting: On clean wet hair, take a small amount of gel in the palm of hands, rub hands together and apply all over hair. Comb through gently to distribute evenly. Remove any excess product. Set, dry and style as desired. For Molding & Sculpting: Apply gel to clean, damp hair. Mold, slick, and sculpt hair in desired direction with comb. Using the back of the comb, smooth the hair down. Remove any excess product. Dry hair for 30 minutes (or until dry) using a hooded hair dryer.